Our Fruit and Nut syrups are delicious! Perfect on pancakes, cheesecake, biscuits, and other delectable delights! 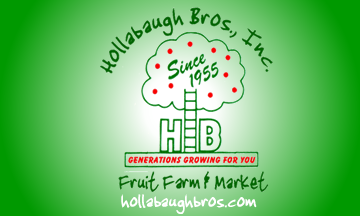 Hollabaugh Bros. NO SUGAR ADDED Blueberry syrup is perfect for pancakes, cheesecakes, and other delectable delights! Hollabaugh Bros. Hot Cinnamon Apple syrup is perfect for pancakes, cheesecakes, ice cream and other delectable delights! Hollabaugh Bros. NO SUGAR ADDED Peach Cobbler syrup is perfect for pancakes, cheesecakes, ice cream and other delectable delights! Hollabaugh Bros. Pumpkin Spice syrup is perfect for pancakes, cheesecakes, ice cream and other delectable delights! Hollabaugh Bros. Raspberry syrup is perfect for pancakes, cheesecakes, ice cream and other delectable delights! Hollabaugh Bros. NO SUGAR ADDED Raspberry syrup is perfect for pancakes, cheesecakes, and other delectable delights! Hollabaugh Bros. Roasted Pecan syrup is perfect for pancakes, cheesecakes, ice cream and other delectable delights! Hollabaugh Bros. SUGAR FREE Roasted Pecan syrup is perfect for pancakes, cheesecakes, and other delectable delights! Hollabaugh Bros. Strawberry syrup is perfect for pancakes, cheesecakes, ice cream and other delectable delights! Hollabaugh Bros. Triple Berry syrup is perfect for pancakes, cheesecakes, ice cream and other delectable delights!